The Heartland Earthy Grey finish emphasizes the natural light and dark tones on the reclaimed pine wood, giving a rustic vintage appearance to our Media Cabinet. 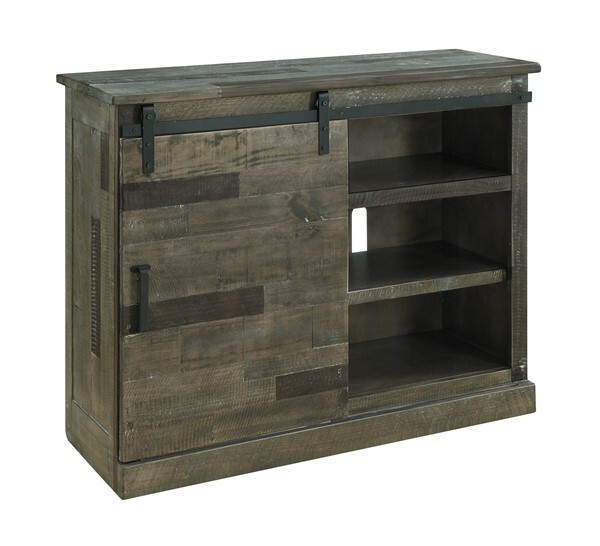 A single door glides back and forth upon dark metal tracks, providing easy access to the shelved interior and all the media equipment and movies you will be placing inside. Max Tv Size : 55"